Liane Moriarty’s novels occupy a space in the landscape of novels somewhere between chick lit (see S. Kinsella) and lives of upper middle class discontent (see J. Franzen.) Her books are about more than dieting, drinking and dating; but still primarily about and of interest to women- reflective, but not necessarily insightful. Also, they are set in Australia, which is like books set in Britain but with the seasons upside-down and the geography even more incomprehensible. The Husbands Secret deals with three women at descision points in life. Tess has to decide what to do with her marriage and son when she finds out her husband is having an affair with her cousin/coworker. Rachel, a widow still grieving her daughter’s murder decades ago, has to decide what to do when she finds out her remaining child plans to move his family (and her beloved grandson!) far away. Cecilia has to decide what to do after she finds the letter containing the titular husband’s secret- marked “open in the event of my death” altho he is very much alive. I find it telling that these are very much modern women who have it all (marriage! kids! careers! shoes!) they are each stuck in a position of reacting to the choices made by a man or men. Moriarty keeps the reader’s interest by the way she skillfully weaves together the lives of these three women and all their supporting cast. Each woman narrates chapters in turn, and the writer does an excellent job comparing their view of themselves with the understanding others have of them. What the secret is comes out about halfway through the book, so its hard to review the story without any spoilers. In my opinion, the characters are the strong point of this book but the story is weak. I particularly dislike the ending. It seems that the author’s perspective is: if you do something bad, and suffer as a consequence, that is the same as justice. 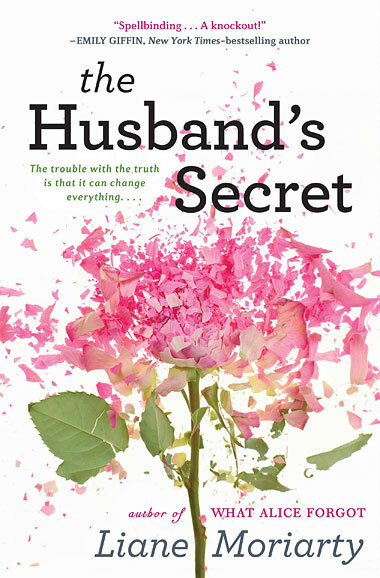 That doesn’t ring true to me, so it felt like an inauthentic ending for the otherwise well-drawn women of The Husband’s Secret.